I have placed this portfolio on an independent webpage. Please click here to be taken to that site. 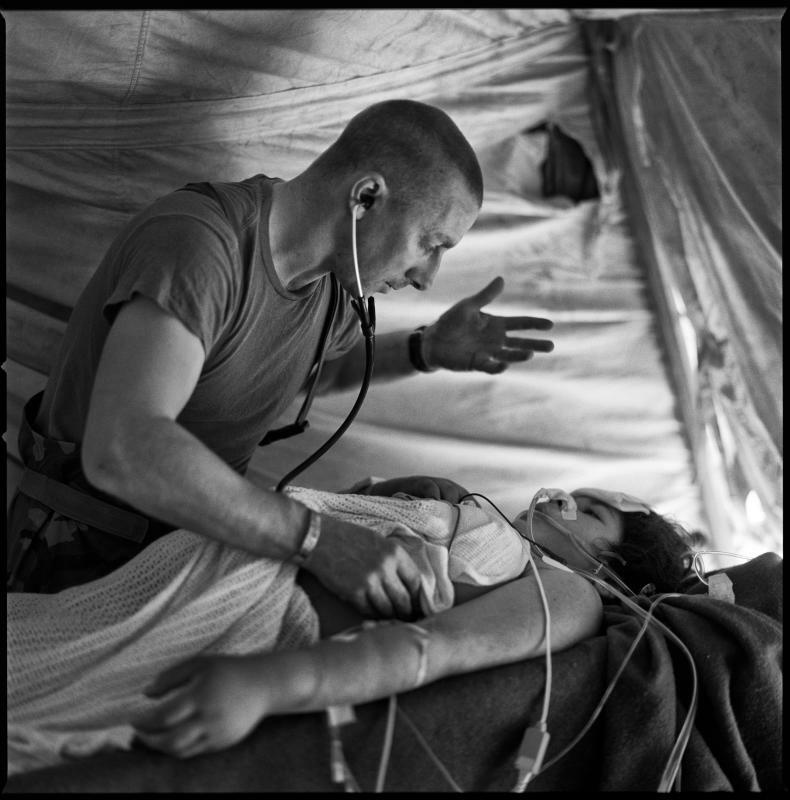 Captain Moore recovers a pregnant Iraqi Shia woman from surgery. She had been shot through the abdomen by Iraqi Sunni forces. I did not see it at the time, but the light reflecting off the desert sand though the elevated sides of the tent created a presence, a power behind Captain Moore, guiding and working through him. In my mind, the photograph captures four souls because, at this point at least, the baby was still viable.